Russia on Tuesday blamed Israel while confirming that Syrian air defenses inadvertently shot down one of its military planes the night before, saying Israeli pilots used the reconnaissance aircraft as cover for an attack on a Syrian facility. The Russian military said the Ilyushin IL-20, with 15 aboard, was downed by a Syrian S-200 missile, which had been triggered by an alleged Israeli airstrike on a Syrian facility near Latakia. According to Russia, at approximately 10 p.m., four Israeli F-16 fighter jets approached western Syria from the sea and fired dozens of missiles at the facility, a Syrian defense ministry subsidiary with ties to the country’s chemical weapons and missile programs. 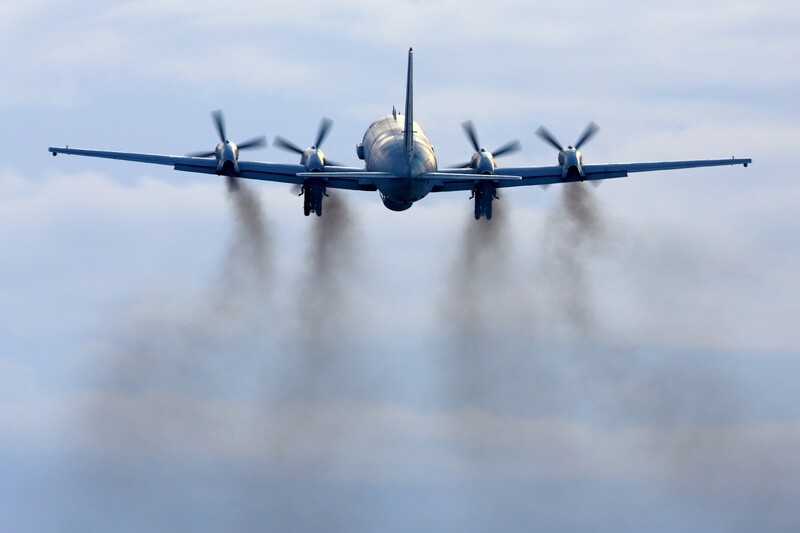 The Russian military accused the Israeli Air Force of deliberately using the Ilyushin IL-20 electronic surveillance plane, which was flying nearby, as a shield for its attack, putting the aircraft in the path of the incoming Syrian air defenses. “We consider these provocative actions by Israel as hostile. Fifteen Russian military service members have died because of the irresponsible actions of the Israeli military. This is absolutely contrary to the spirit of the Russian-Israeli partnership,” the Russian military said in a statement, according to Russia Today, a Kremlin-linked news outlet. On Tuesday morning, Russian Defense Minister Sergei Shoigu told Defense Minister Avigdor Liberman that Israel had failed to warn Moscow of its plans in advance, informing them less than a minute before the strikes, which did not leave sufficient time to get the reconnaissance aircraft out of harm’s way. In the phone call, Shoigu told Liberman that Russia “reserves the right to further countermeasures” against Israel, according to the state-run Interfax news outlet. Shoigu added that the “actions of the Israeli Defense Ministry fail to match the spirit of Russian-Israeli partnership,” according to Interfax. “Israel was repeatedly asked not to deliver strikes on Syria endangering Russian personnel,” Interfax quoted Shoigu as telling Liberman. One of the sole Israeli officials to comment on the matter was Likud MK and fighter pilot Yoav Kisch, who denied that Israel was culpable. “The attempt by Russia to define Israel as responsible for the downing of the Russian plane must be opposed. The only person responsible is the one who pressed the button that fired the missile that shot down the plane,” he wrote on Twitter. It was not immediately clear how the downing of the Ilyushin Il-20 plane would affect the ongoing cooperation between Israel and Russia in Syria. A Kremlin spokesperson said the situation was being “analyzed” in light of the incident, according to Interfax. The Russian government spokesperson refused to comment when asked if Russian President Vladmir Putin and Prime Minister Benjamin Netanyahu would speak about the matter. On Tuesday, Russian officials displayed a rarely seen level of hostility toward the Israeli military. Defense Ministry spokesman Igor Konashenkov told the state-run TASS news agency that Israel knew the reconnaissance plane was there and used it as cover to carry out the airstrike. The S-200 air defense system is manufactured by Russia and sold to Syria. In February, the same type of system was used to shoot down an Israeli F-16 fighter jet that was taking part in airstrikes in Syria in response to an Iranian drone that was flown into Israeli airspace from a Syrian air base earlier in the day. On Monday night, Syria’s state media reported that a state company for technical industries was bombed, likely by Israel, triggering Syrian air defenses. Two people were killed in the strike and eight more were injured, according to the Britain-based Syrian Observatory for Human Rights. Russian state news earlier said the IL-20 disappeared over the Mediterranean on Monday evening as it was returning to Latakia province at the same time as the suspected strike by Israel, and that concurrently France was also firing rockets nearby. A French army spokesman also denied any involvement after Russia accused it of taking part in the strike. Russia has until now mostly turned a blind eye to alleged Israeli strikes on Syrian and Iranian military facilities in the country, despite being allied with Damascus and Tehran. Syrian military sources told SANA that the Monday attack came from the direction of the sea and targeted an Organization for Technological Industries center in Latakia. The state-run Al-Ikhbariya TV reported loud explosions in the coastal Latakia province, saying they were likely from Israeli strikes. This entry was posted on September 18, 2018 at 12:58 PM and is filed under Uncategorized. You can subscribe via RSS 2.0 feed to this post's comments. You can skip to the end and leave a response. Pinging is currently not allowed.